Fort Christina National Historic Landmark, one of the partner sites of the First State National Historical Park, offers visitors access to one of the cornerstones of Delaware history and an expanded schedule of activities on weekends from Memorial Day to Labor Day. Building on last year’s success, this landmark is now staffed by tour guides who offer free interpretive tours to the public. Children can even earn Junior Ranger badges on the first Saturdays in June, July and August. This special heritage site marks the approximate location where a group of Swedish and Finnish colonists from the ships Kalmar Nyckel and Fogel Grip landed on a natural wharf of “blue rocks” in 1638. It was here that the first Swedish settlement in America began – the first permanent European settlement in Delaware. Located at 1110 E. Seventh St. in Wilmington, Del., next to the Kalmar Nyckel Foundation and Copeland Maritime Center, Fort Christina will be open between May 26 and September 3, Tuesday through Saturday from 10:00 am to 4:00 pm and each Sunday from 12:00 to 4:00 pm (closed on July 4). Site hours and activities are supported by a partnership between the Delaware Division of Historical and Cultural Affairs, the First Sate National Historical Park and the Kalmar Nyckel Foundation. Admission is free to all visitors. As part of its new 2018 summer hours, Fort Christina will host a series of First Saturdays celebrations open to the public. 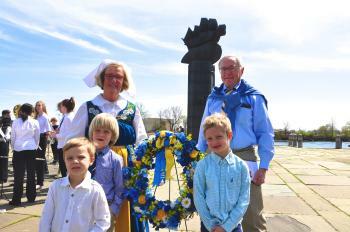 On June 2, Celebrate Sweden will mark the founding of the colony of New Sweden (now Delaware) and the anniversary of the site as a park. Celebrate Pirates at the Wilmington Pirate Festival will be hosted on Saturday, July 7 from 10:00 am to 4:00 pm with family-centered activities and ship tours at the Kalmar Nyckel Shipyard and Fort Christina. The event promises to bring an exciting day of pirate-themed ship tours, demonstrations, games and crafts as well as live music, face painting, food and beverages. The event is open to the public with free admission (fees may apply for some activities). August will bring Celebrate National Park Service on Saturday, August 4 in recognition of the anniversary of the founding of the U.S. parks system. Educational tours and a variety of activities will be posted at www.KalmarNyckel.org as they are announced. 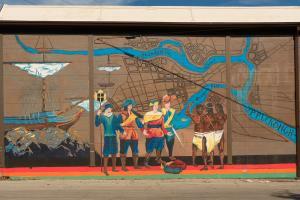 Learn more about Wilmington&apos;s rich history and plan a weekend getaway with out free visitors guide.